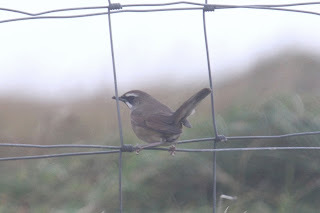 Fair Isle Bird Observatory: the Warden's diary: Good Sibrations. The easterlies really did deliver this week, with the birding gradually building up to an amazing finish (although maybe it isn’t all over yet…). 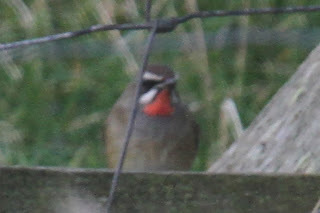 The 17th was relatively quiet, with Red-breasted Flycatcher at the Plantation, Lesser Whitethroat and Crossbill the few new migrants and the Dotterel and Dusky Warbler putting in their final appearances. Freshening winds on 18th saw a few more birds coming in, with Bluethroat (at Haa then Quoy), Red-breasted Flycatcher (on Dronger), 2 Crossbill (one of which was found as a casualty having flown into a window and was clearly a Common Crossbill, thereby preventing any ‘dead parrot’ jokes) and an increase in Redpolls (with around 60 Mealys and 5 Lessers recorded) and Snow Buntings (a total of 220 were noted). A ‘Lesser’ Golden Plover over Ward Hill was probably an American but carried on North and was never confirmed. The 19th saw a day of near gale force easterlies and constant heavy rain, with birds clearly arriving but almost impossible to see; a Hawfinch (at the Haa), 4 Bullfinch (the lingering pair added to by two more males at Gunnawark) and the autumn’s first Black Redstart being the only highlights picked out. The 20th saw a slight improvement, with the rain easing briefly but then being replaced by fog, whilst the winds remained very strong from the east. 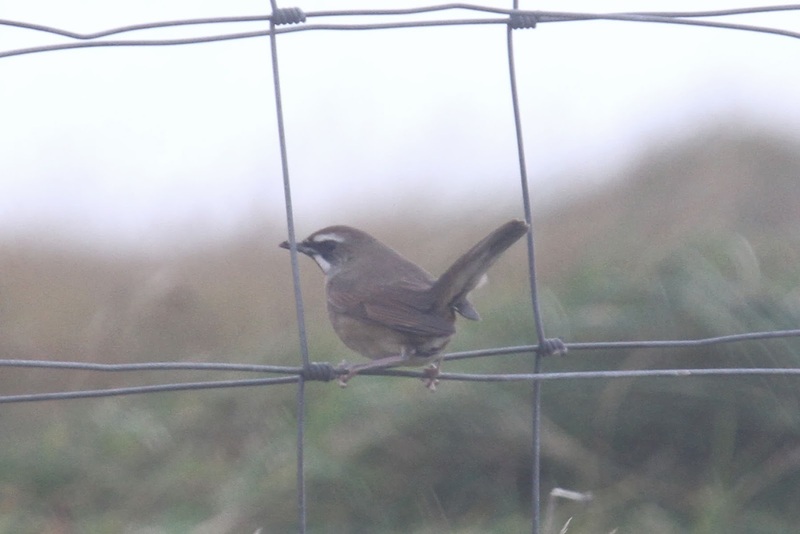 Star turn was taken by a typical mouse-like Lanceolated Warbler at Shirva, one of the latest Fair Isle records. There were also 2 Waxwings, 2 Yellowhammers and a Goldfinch (all the first records of the autumn), along with Lesser Whitethroat, 4 Mistle Thrush, 4 Crossbill, 9 Jack Snipe and an increase in thrushes and Blackcaps (to 58). The lingering Richard’s and Olive-backed Pipits were both also still present. Mystery bird! The Lanceolated Warbler at least manages to show the key identification feature of its well-defined, thinly fringed tertials as it proves remarkably elusive for the camera. 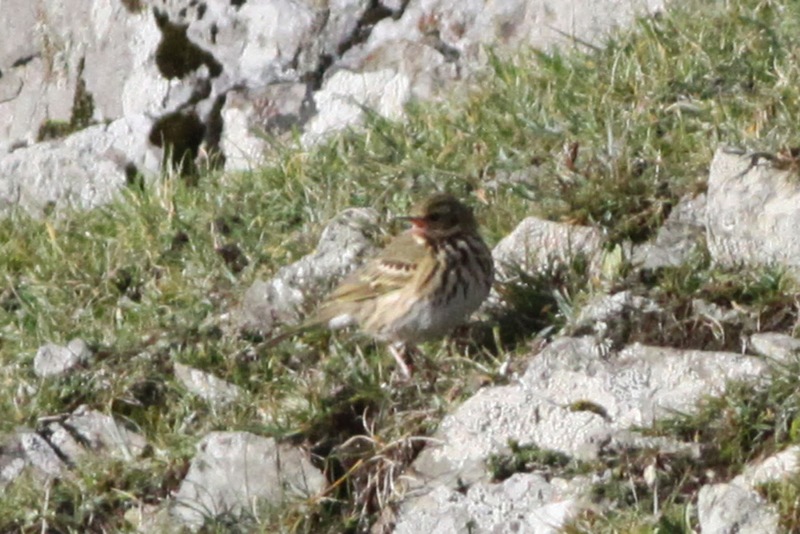 The Olive-backed Pipit remains around the Stackhoull area. How many have been involved in the sightings this autumn is a matter of conjecture. Finally, the 21st saw and end to the rain (just about) and the wind eased to a still fresh, but much more manageable, easterly. There were clearly lots of thrushes in and a good spread of other migrants, but they all had to take a back seat to the stunning male SIBERIAN RUBYTHROAT found shortly after lunch at Upper Stoneybrek. Wow. Just wow. 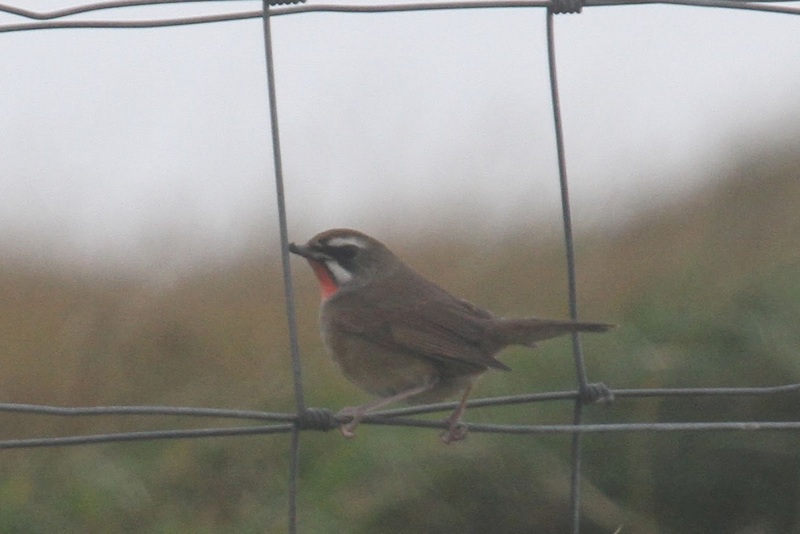 Previous Rubythroats on Fair Isle have been found on 9th Oct 1975, 17th Oct 2003, 23rd Oct 2005 and 23rd Oct (again) 2012, so this record falls well into the recent pattern. 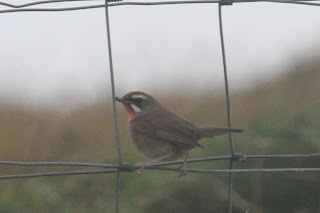 Although late September is the classic time to visit Fair Isle, perhaps the best chance of totally stunning megas in recent years has been around the third week of October. (image by Richard Cope). 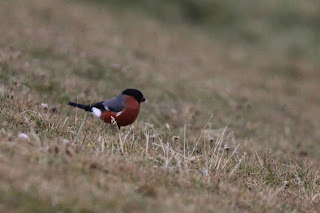 Other highlights included the reappearance of the Red-throated Pipit, the lingering Olive-backed Pipit, a Red-breasted Flycatcher at Hesswalls, 3 Bullfinch (a male on Dronger adding to the regular pair) and 2 Great Spotted Woodpeckers (including a bird on Dronger that was presumably a newly arrived migrant). With thrushes everywhere, the final counts were 1393 Fieldfare, 1133 Redwing, 606 Blackbird, 38 Song Thrush, 5 Ring Ouzel and a Mistle Thrush. Other increases in numbers included 68 Blackcap, 125 Brambling, 23 Woodpigeon, 7 Goldcrest, 12 Robin, 3 Water Rail, 3 Crossbill, 85 Barnacle Geese and singles of Long-eared Owl, Black Redstart and Redstart. 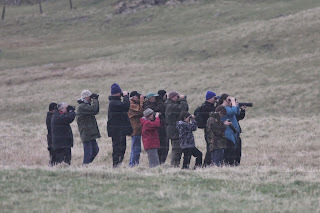 Rubythroat twitch. With fog in Tingwall preventing flights today, a few lucky folk managed to get stuck on the island so were still present for the bird. Logan has to be the most thankful for the weather delay - last year he left on the morning of the day the Rubythroat was found and this year was scheduled to do the same thing! Oh my word. What a bird! When you mentioned that the initial view almost made Graham fall off his bike, do you mean Graham Gordon, who I hear is up there now? If so, yet another mega find for him, he did very well when he lived over here in Cork also! It is rather nice isn't it?! 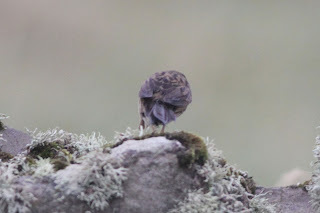 And it was indeed found by Graham Gordon, who has found a few more good birds this year!